So many cliches used everyday. It's about time someone started taking them to task. Might as well be me, right? Of course right. Do they? I only have two. If I had been born with eight hands I can't possibly see how that would help me. I'm already uncoordinated enough as it is. I can't imagine what kind of disaster I would cause with more hands. Especially if I still only had two arms. Lies. There was a test done some years back where they took two groups, blindfolded them, and set an aged cheese in front of them. They told one group that it was dirty socks and the other that it was cheese. The group that was told it was socks started retching while the group that was told it was cheese started salivating. Proving once and for all that scientists have way too much time. 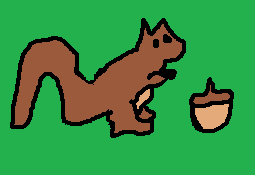 "The acorn doesn't fall far from the tree"
Then why are there squirrels everywhere? Seems like they should just commune around the acorn tree. I didn't say it was. I said glitter was for girls. First of all, have you seen how much they're charging for an ounce these days? 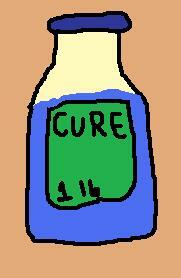 Secondly I haven't even seen where they sell cure. I mean, the rate must be pretty high, but maybe I'll save up for awhile. "I said glitter was for girls." Hahaha! You're so funny-stupid. Ooooh! Do the shoe-related ones like "Shoe's on the other foot" "If the shoe fits wear it" and "Waiting for the other shoe to drop"
I can't help but think that having multiple hands and no multi-tasking ability would be a complete waste of having multiple hands. Might need to interview Goro for more info. Great post. Once again, hilarious at every turn and didn't smell even remotely like aged cheese or socks. There's rumors afloat that you're going to quit the blogging business and open up an art gallery. Any truth to this? You're right - scientists have way too much time. And money. 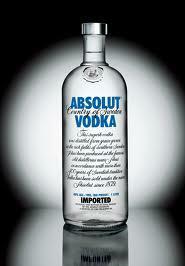 They should give me some. According to The Secret of Kells, which I just watched, St. Columba had three hands, and twelve fingers on each of them. 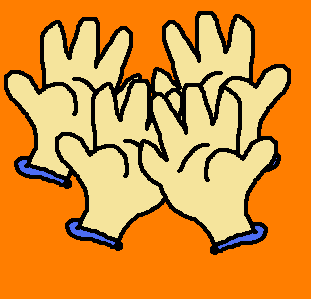 I was doing some counting with my two- and three-year-old grandchildren the other day, and pointed out that each hand has five fingers on it. They were both outraged and demanded at least six fingers per hand. I didnt know about that experiment with cheese and gym socks!! Might explain the appeal of white cheddar cheez-its. 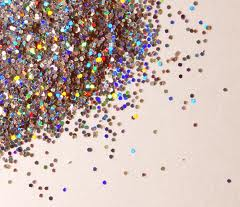 These are good ones, and glitter is for girls. You can run with the big dogs or you can sit on the porch and bark. I'd much rather sit on the porch. I'm not so sure about barking, though. That might be a little weird. My favorite saying is to call someone the 'cat's pjamas' because I have no idea what that means. I have never seen a cat wear pjamas on their own and they always look pissed when they are forced into them. Of course they don't make sense. That's why we call them "cliches", which I believe was government ordered. If they made sense they'd be called "facts", and none of the large cliche conglomerates would get government grant money. Yeah, I'll say! Imagine what a pound would cost, for sure! 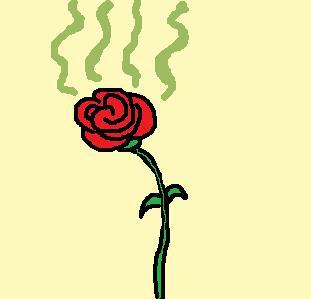 Absolutely loved the Rose Experiment. It's a perfect example of labeling theory and the effect that our "label" of different things has on our own perception. “always gets my goat” ..... WHAT GOAT? I LOVE these! There is an endless amount of cliches out there for you to review....Looking forward to more! Both prevention and cure are commodity items, so I'm sure those figures must fluctuate.